ONA, W.Va. — A fantastic finale. 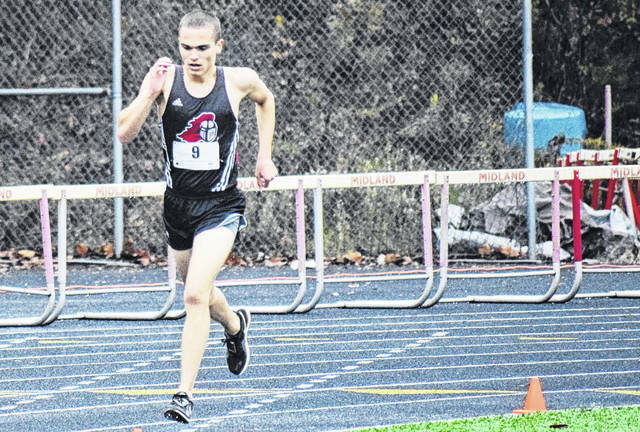 Point Pleasant senior Luke Wilson competed in his third consecutive state cross country meet on Saturday, placing sixth overall at the 2018 WVSAAC AA-A Cross Country Championships held on the campus of Cabell-Midland High School in Cabell County. Wilson — who finished with a mark of 16:57.27 — earned the highest finish at a state meet in school history. Wilson — who has improved in each of his appearances at the state meet — finished 10th with a final mark of 16:54.87 in this same event last year, following a 40th place effort in the 2016 Class AA-A Cross Country Championships with a time of 17:54.9. Wilson concludes a stellar cross country career for the Red and Black, which includes the PPHS school record of 16:39.2 set last fall at the Chick-Fil-A Invitational in Mineral Wells, W.Va. Following the race, Wilson spoke about the experience. PPHS coach Jessica Porter was pleased with Wilson’s effort — particularly seeing all his hard work rewarded. Senior Aaron Withrow of Winfield cruised to the Class AA-A title with a winning time of 16:02.05. Ravenswood’s Bryce Jarrell was the runner-up in the 161-competitor field with a mark of 16:42.67. Fairmont Senior (70) claimed the Class AA-A team by a single point, edging past runner up Winfield with 71 points. Sophomore Ella Hesson of Williamstown won the Class AA-A girls race with a time of 19:25.50. Winfield claimed the AA-A girls team title with 62 points, finishing 32 points ahead of Bridgeport (94). Senior Ronnie Saunders of Wheeling Park won the Class AAA boys race with a time of 15:55.22. Cabell-Midland posted 55 points to earn the AAA team championship. Junior Madison Trippett of Parkersburg won the Class AAA girls race with a mark of 18:00.41. University won the AAA girls team title with 43 points, finishing 29 points ahead of runner up Cabell-Midland (72). Visit runwv.com for complete results of the 2018 WVSSAC Cross Country Championships held at Cabell Midland High School.